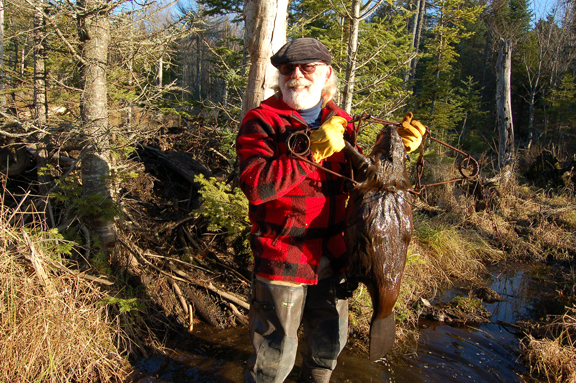 I'm not a trapper but I do know some of the basics of trapping. 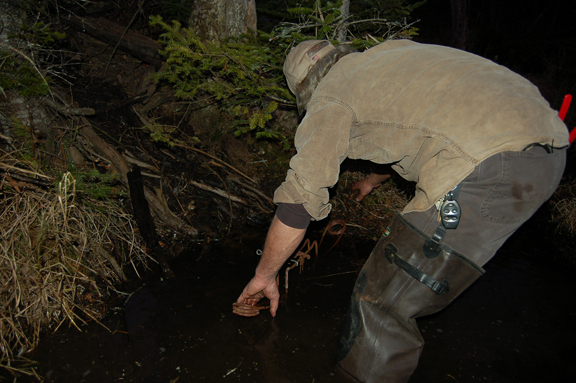 It's a necessary skill set to have for any serious survivalist or prudent homesteader. 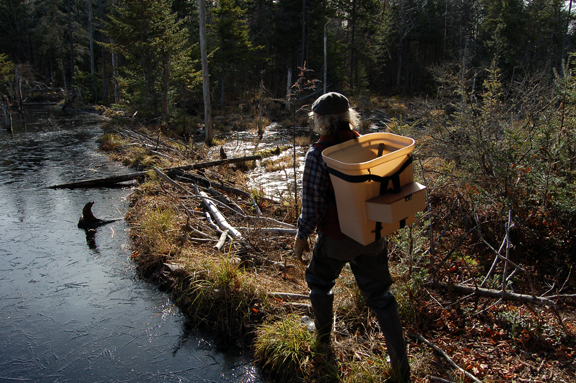 Here I'm out scouting some locations for beaver sets. Buckshot once told me it's all about location, and it is. 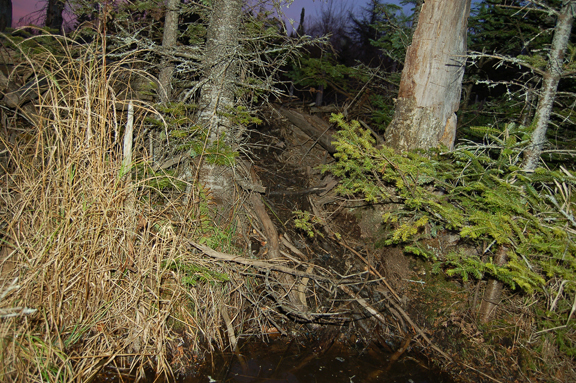 Here's the dam side of a beaver slide that I came across on one of the dams I walked. as well as the the slide was unobstructed and completely open. I'll put my set at the base of the slide because when they're sliding down they have less control. and my trigger bent into an upside down V.
The dog is set on the notch for the tightest setting possible. I always use an extra safety in addition to the safeties on the springs. 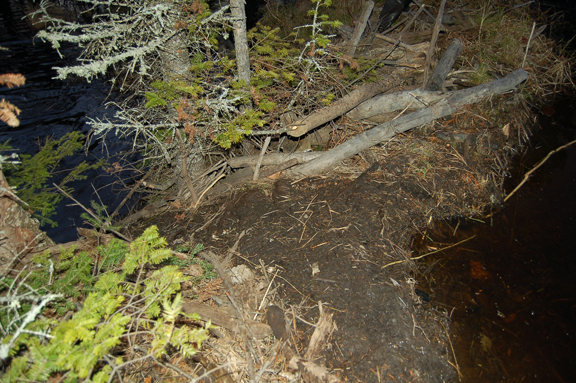 and placed my trap about 18" from the bottom of the slide. Hip boots are very useful. Next, I put a stick at an angle just to support the trap. 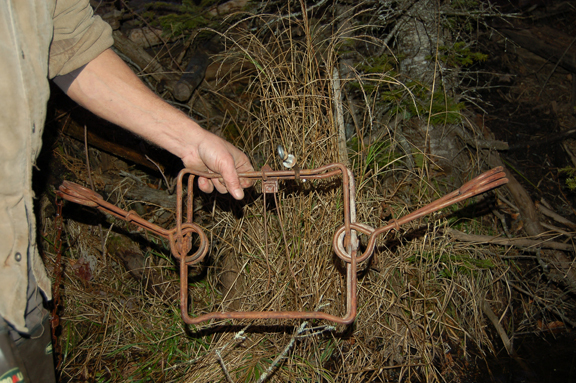 And a second stick from the other side so the trap is supported vertically on both sides. 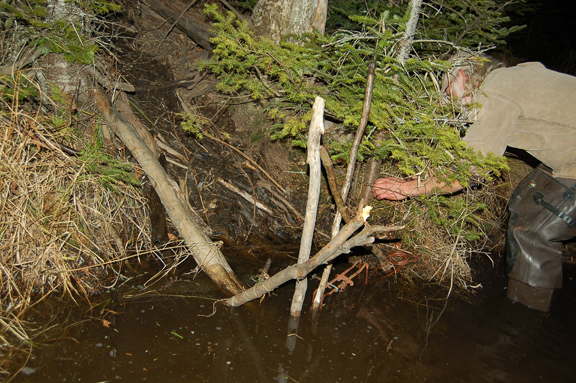 These sticks should be dead wood so the beaver won't take them. 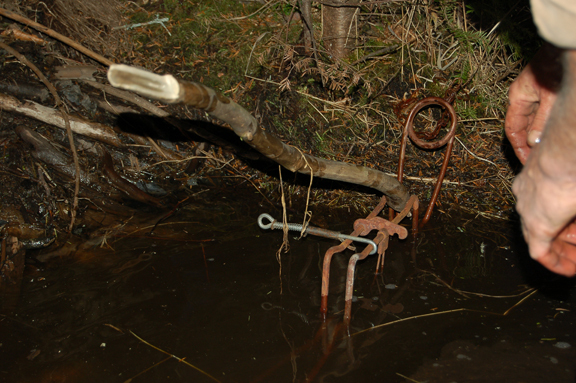 I've also placed the first stick on the left side of the trap for my fence. 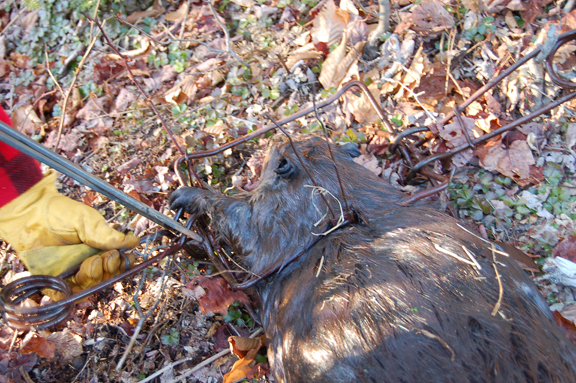 The fence helps funnel the beaver into the trap. My fence is complete and I'm wiring the trap to a nearby tree. 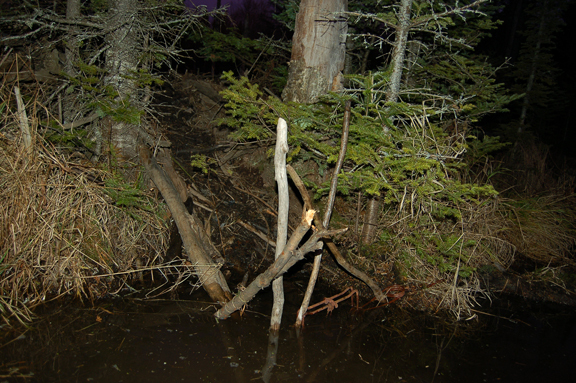 Waiting for an unsuspecting beaver to go through. 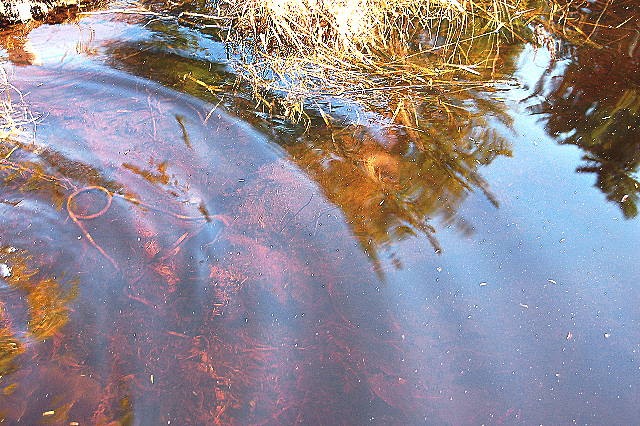 Your trap does not need to be completely submerged. 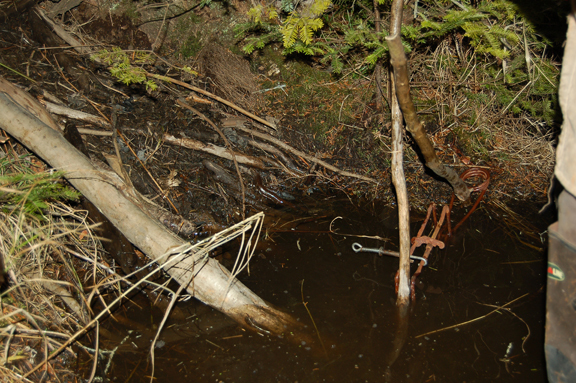 Beavers see the trap as simply sticks. 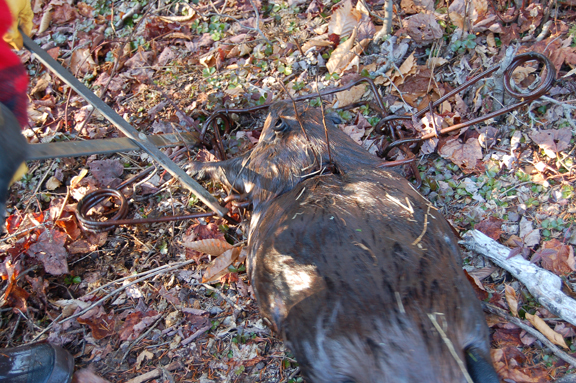 A couple of days later...a beaver! 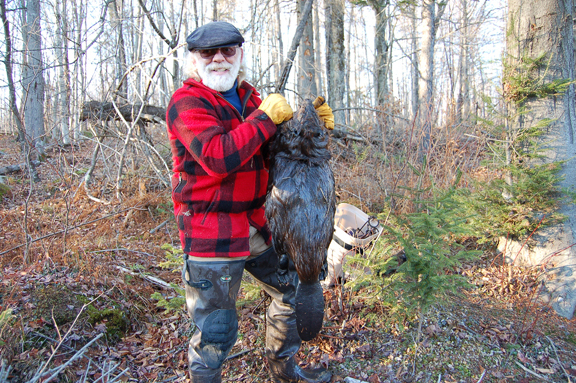 This one was 32 pounds and measured 37"
In these 2 photos I'm removing the beaver from the trap with my setting tool. 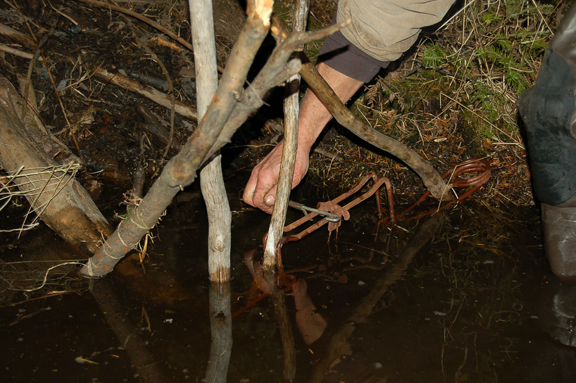 When I've got the springs compressed I reset the safeties on them to remove the beaver. 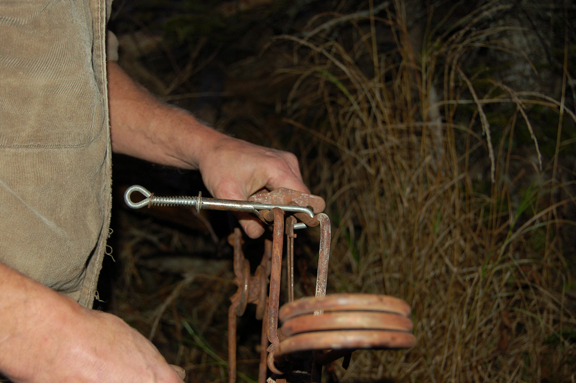 Notice the safety on the right side of the trap is already reset. Once they're both reset you can remove your beaver.